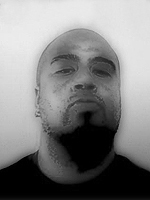 Tony Reyes is an accomplished songwriter, producer, guitarist, bassist and keyboardist. He has worked with a multitude of artists including Gwen Stefani, Shakira, Natalie Cole, Anastacia, Janet Jackson, Staind, Kelis, Christina Milian, and Sugababes. Reyes garnered significant attention for his writing skills with major songwriting contributions on the Introducing Joss Stone and Elliott Yamin records. Tony co-wrote Lionel Richie’s “Reason To Believe” and Leona Lewis’ “Whatever it Takes”. He also co-wrote and co-produced the Christina Aguilera track “Here to Stay.” Most recently, Reyes has been writing with Jennifer Hudson and Beyonce.